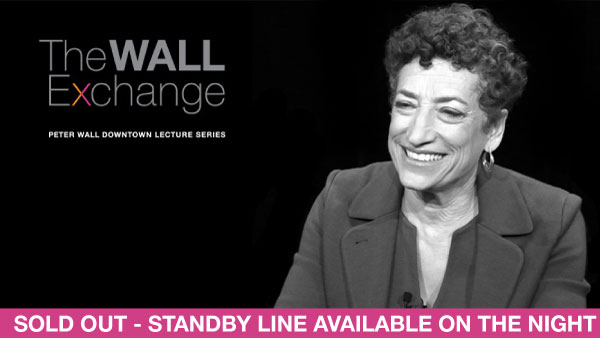 The Wall Exchange with Dr. Naomi Oreskes – Climate Change Denial: Where Do We Go From Here? Polls show that citizens around the globe overwhelmingly accept the scientific evidence that our climate is changing for reasons that are largely human-caused, but our political leadership lags behind. On the national level, neither the U.S. nor Canada has made substantial headway in controlling the greenhouse gas emissions that are driving climate change, nor to accelerate the transition to non-carbon based sources of energy. Yet there is good news on the horizon: many provinces, states, cities and provinces are moving forward with carbon-reduction policies. Can action on this level make a difference? Do we have the technology we need to solve this problem? This lecture suggests that the answer to both these questions is yes. However, we have to accept that governance is necessary; we will not solve the energy-climate problem simply by trusting in the “magic of the marketplace” to get us there. Naomi Oreskes is Professor of the History of Science and Affiliated Professor of Earth and Environmental Sciences at Harvard University. A world-renowned historian of science, she is the author of over 100 scholarly and popular books, articles, and opinion pieces. Her most recent books areMerchants of Doubt (Bloomsbury, 2010), which was short-listed for the Los Angeles Times book prize and released as a documentary film by the same name in 2015, and The Collapse of Western Civilization (Columbia University Press, 2014), both co-authored with Erik M. Conway. Most recently, she wrote the Introduction to the Melville House edition of the Papal Encyclical on Climate Change and Inequality, and, with John Krige, edited Science and Technology in the Global Cold War (MIT Press, 2014). Her books have been translated into nine languages, and she has won numerous prizes and awards, including the 2014 American Geophysical Union Presidential Citation for Science and Society, the 2015 Public Service Award of the Geological Society of America, and the 2015 Herbert Feis Prize of the American Historical Association for her contributions to public history. The Wall Exchange is a community program and downtown lecture series created by the Peter Wall Institute at UBC. The program brings prominent public intellectuals to Vancouver for a lecture and a forum for the discussion of key societal issues that impact us all. The Wall Exchange is held twice per year in the spring and fall in the Vogue Theatre in downtown Vancouver.